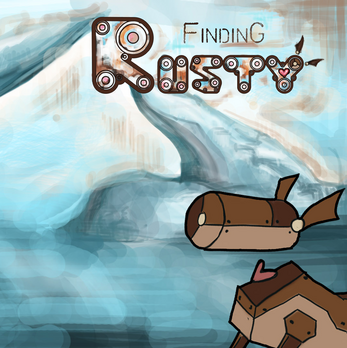 Finding Rusty was the second group project I worked on at Falmouth University. We were given two key words (Ice and Robot) and 4 weeks to create a game of our choice. Our team settled on a 2.5D platformer where you play as a robot in the lonely arctic tundra trying to collect pieces of a dog in order to build himself a companion. The mechanics of the game were fairly simple; move, jump, pick up, break. You had to navigate obstacles such as ice blocks, falling icicles, slick patches, spikes and platforms in order to complete the 3 levels. At the end of each level you had to pick up a piece of the dog, starting with his head, then body and finally his heart. Upon completing the game you are able to see the dog being built and coming to live before Rusty's very eyes!